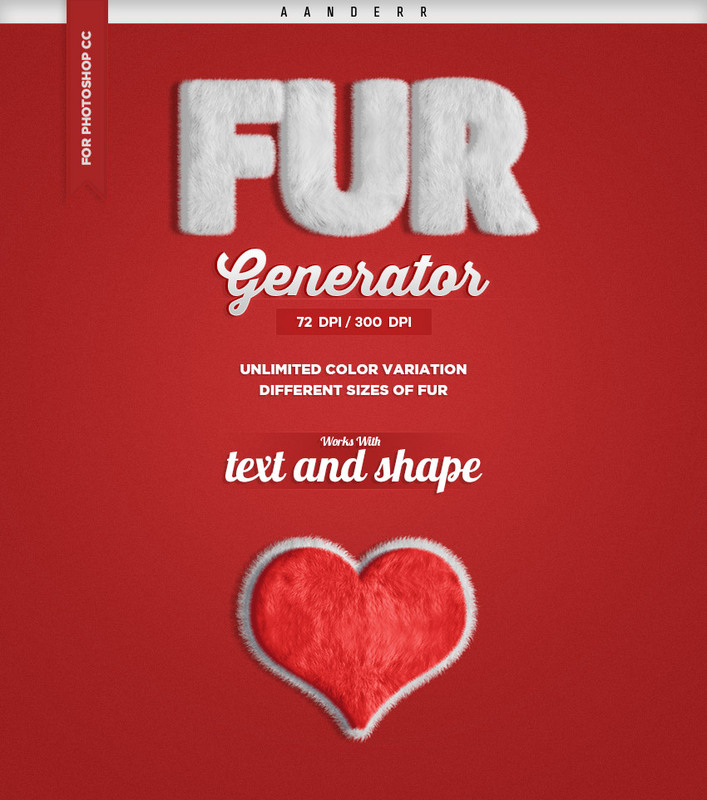 If you’d like to skip this tutorial but still wish to buy the action, you can head over to GraphicRiver and buy Fur Generator. 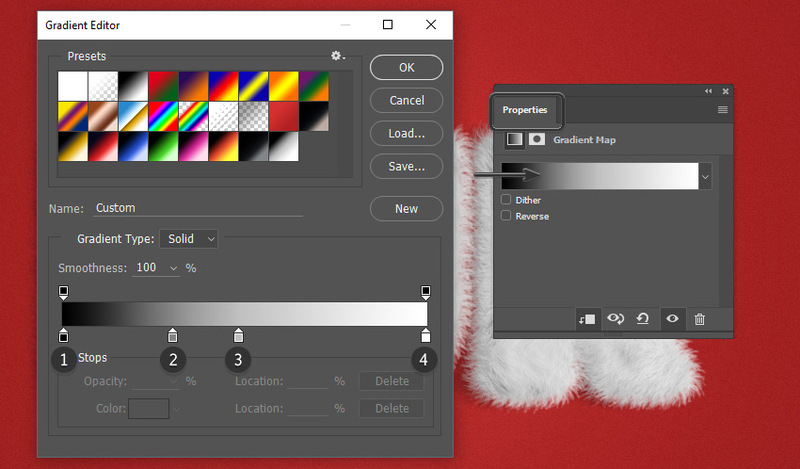 The complete action has additional features, it works with 72 dpi and 300 dpi, it also works with shapes, and you can choose different colors and sizes of the fur. 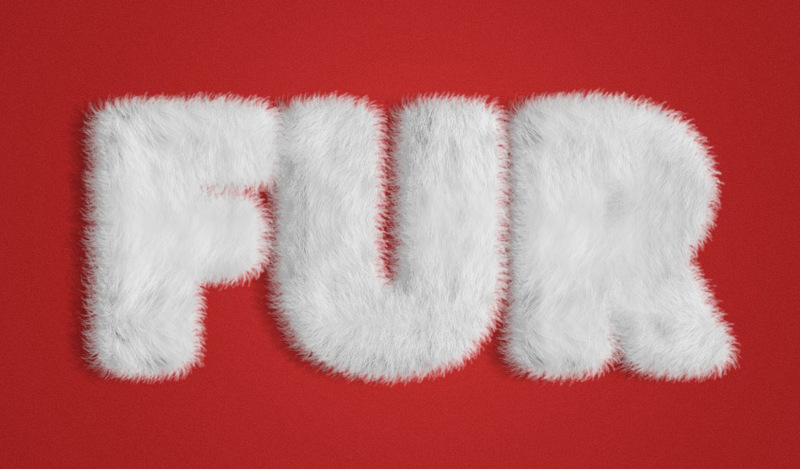 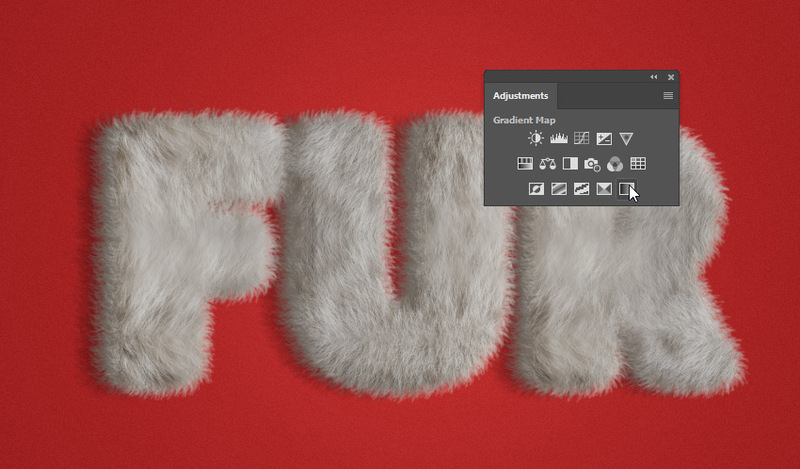 Pick the Type Tool (T) and write “FUR”. 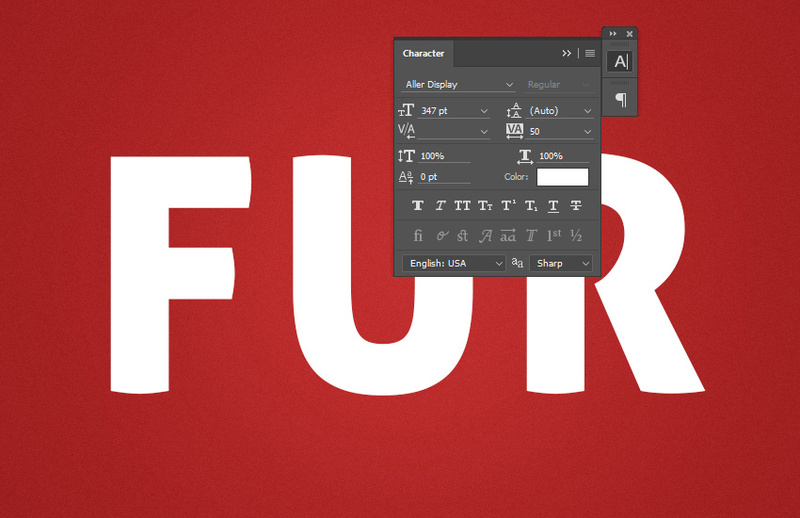 Choose the Aller Display font, and then go to Window > Character and set the Size to 347 pt and Tracking to 50. 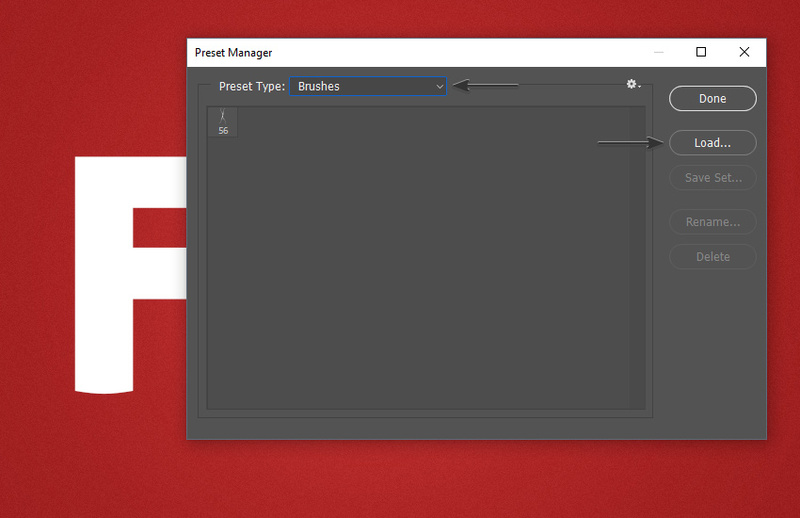 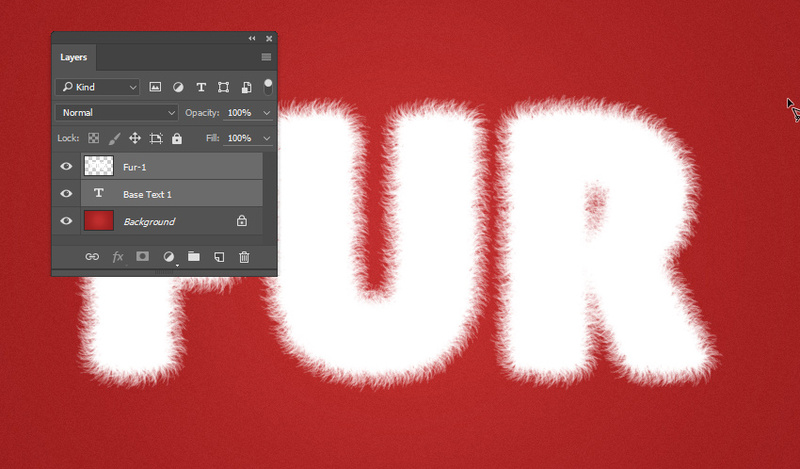 Go to Edit > Presets > Preset Manager… In the Preset Type, select Brushes, click load…, and choose Brush (Fur Tutorial).abr. 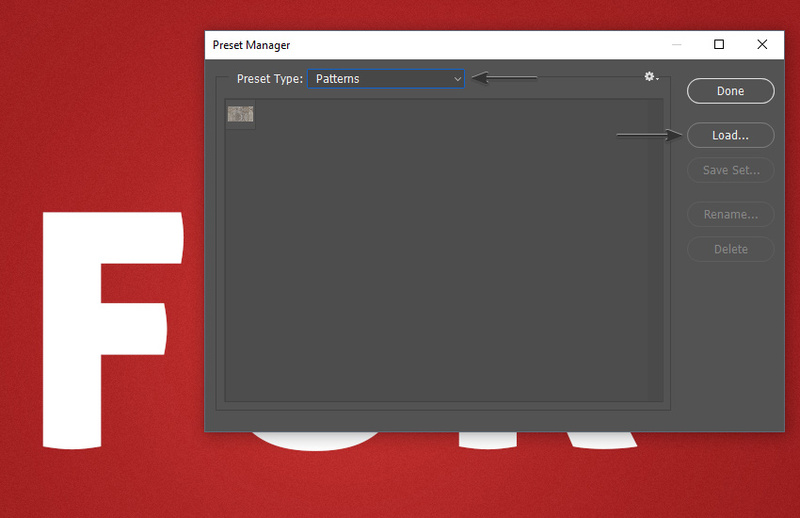 Go to Edit > Presets > Preset Manager… In the Preset Type, select Patterns, click load…, and choose Pattern (Fur Tutorial).pat. 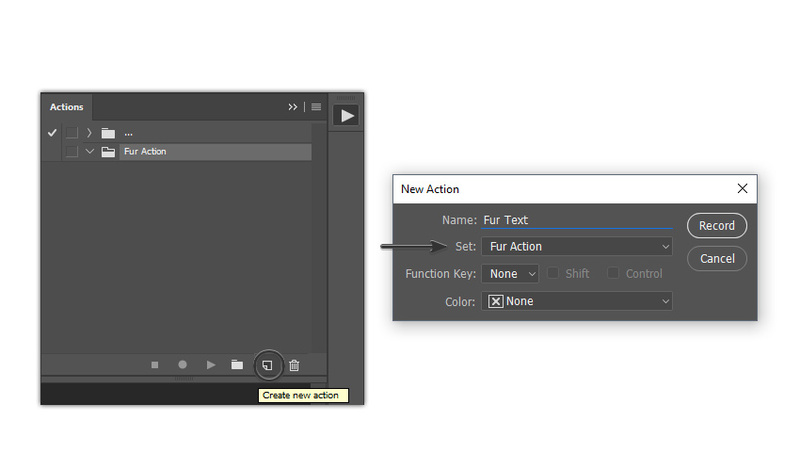 Let’s create a new set of actions. 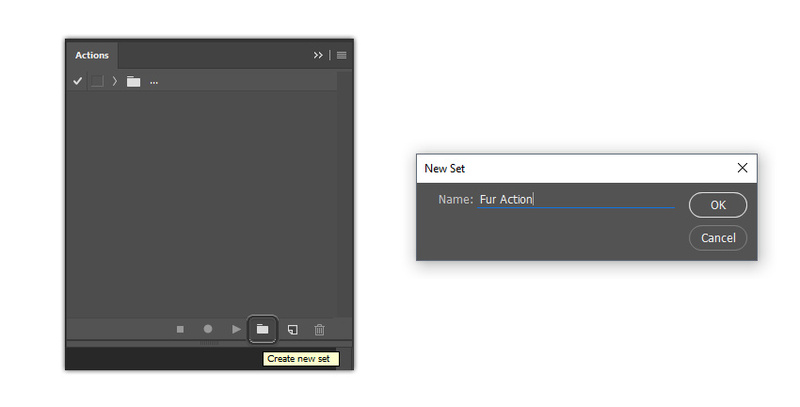 To do so, click the Create New Set icon, name it Fur Action, and click OK.
With the text layer selected, go to Layer > Rename Layer… and rename it Base Text 1. 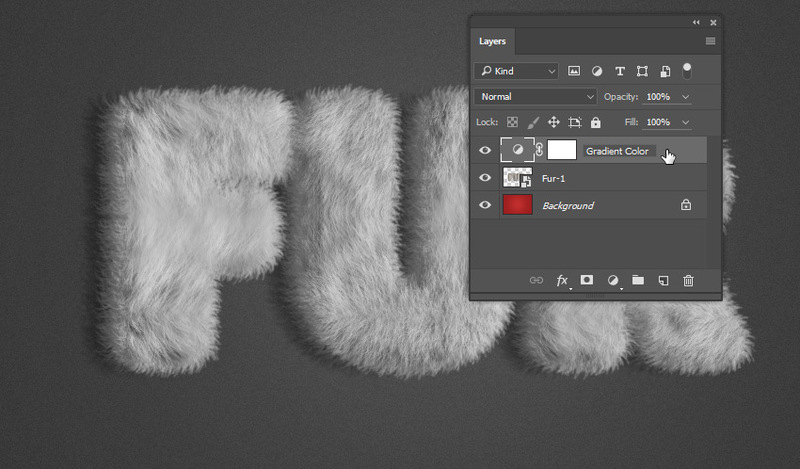 Pick the Brush Tool (B). 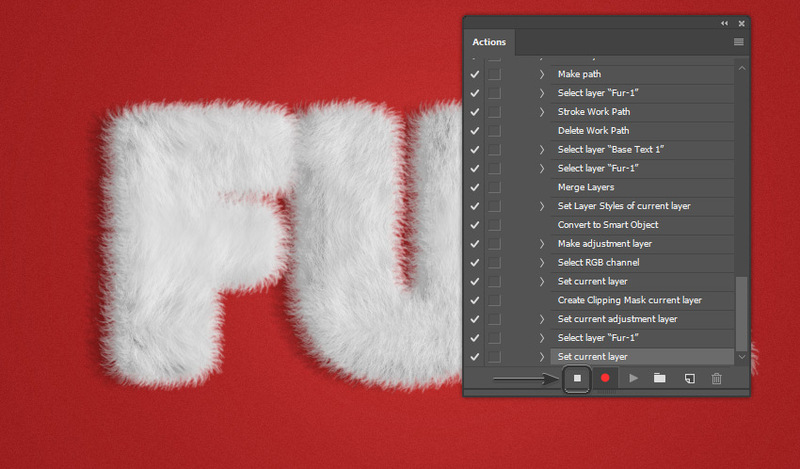 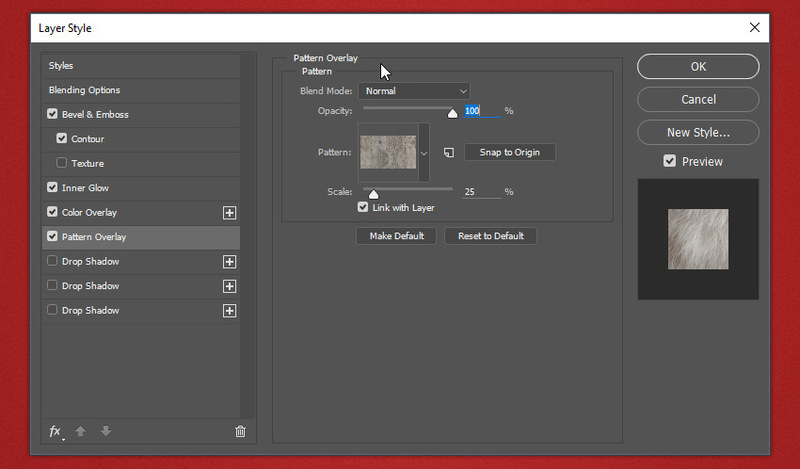 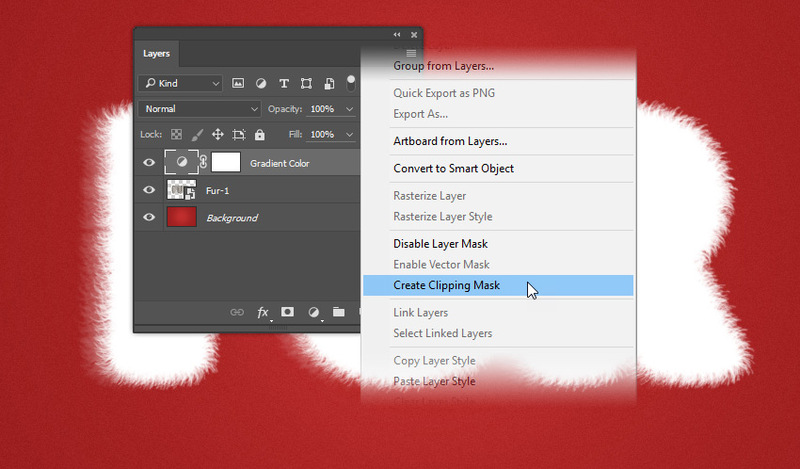 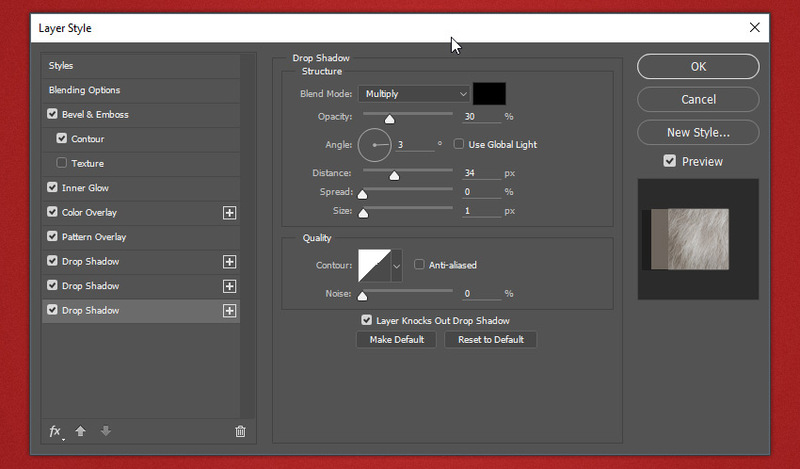 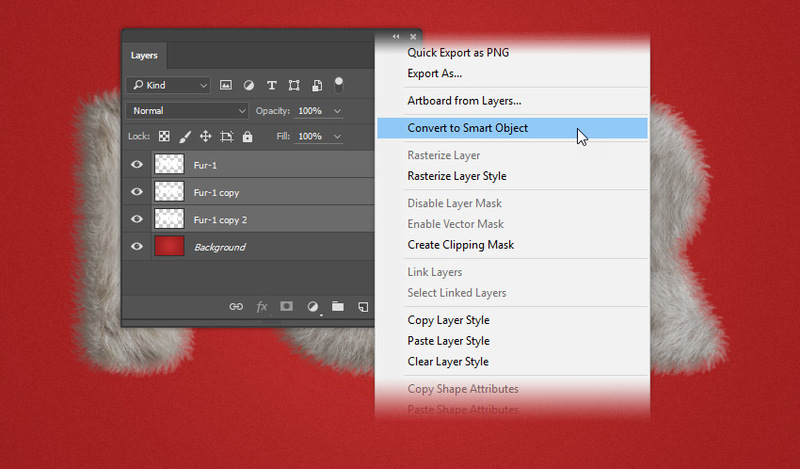 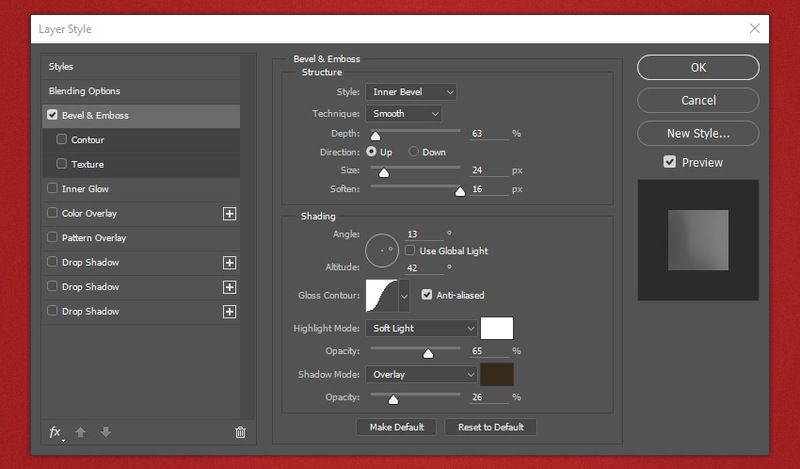 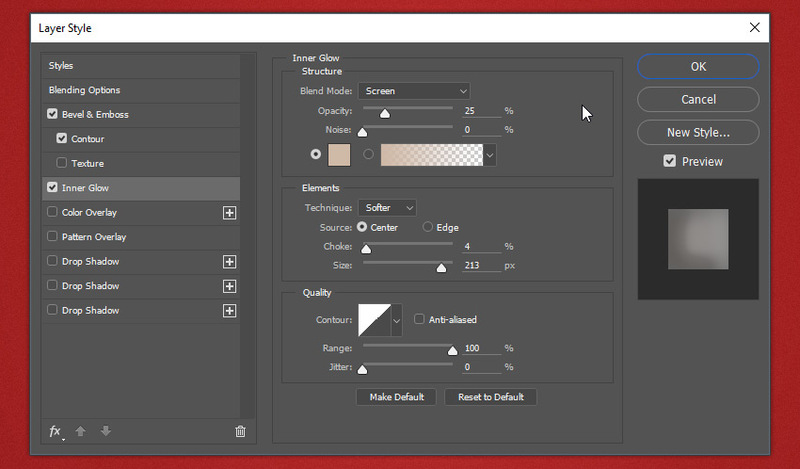 Select the FUR Brush – Tutorial brush, and then set the Mode to Normal and the Opacity and Flow to 100%, and make sure that the following icons are unselected. 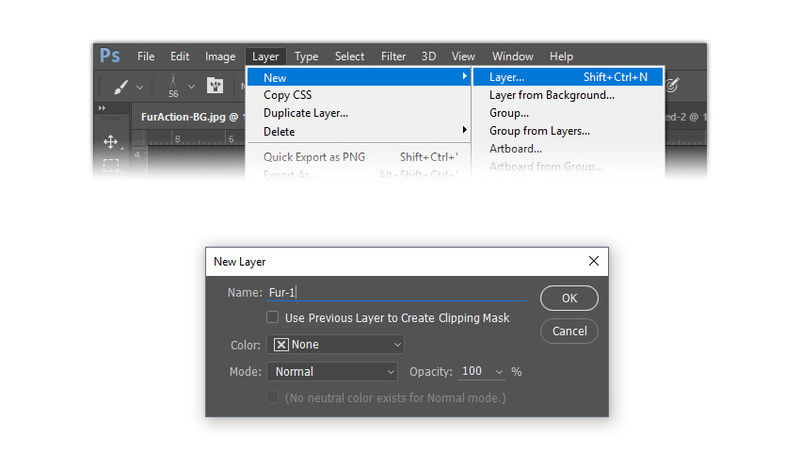 Now let’s create a new layer. 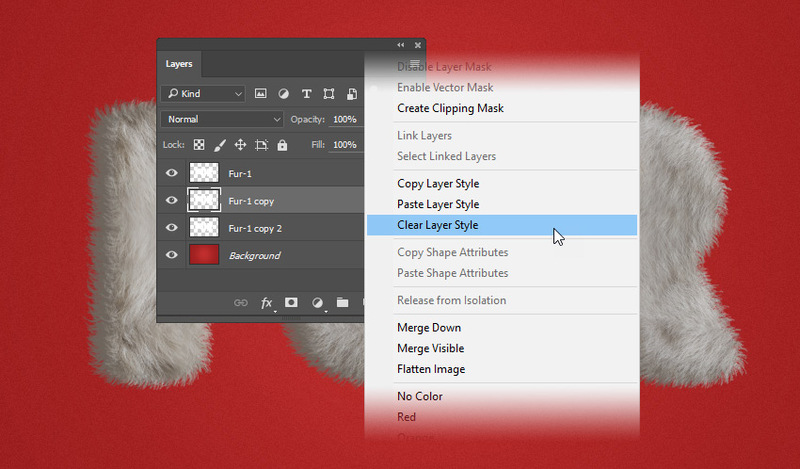 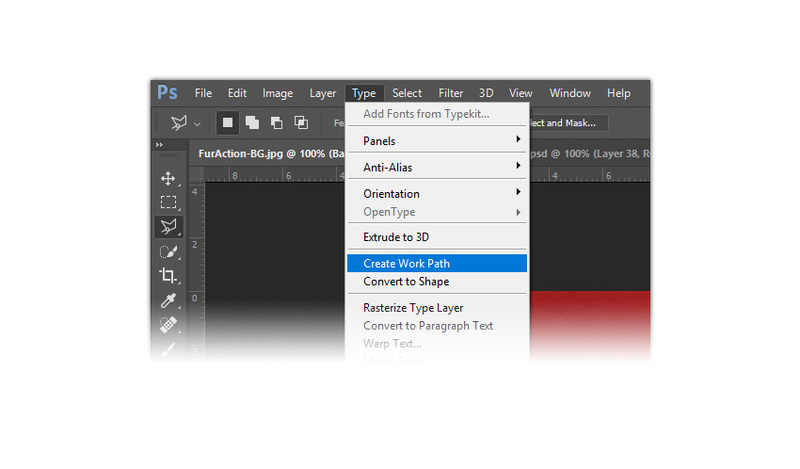 Go to Layer > New > Layer…, name it Fur-1, and click OK.
Now select the layer Fur-1, open the Paths panel by going to Window > Paths, right click the Work Path, and choose Stroke Path… Choose Brush in the drop-down menu, uncheck the Simulate Pressure option, and click OK.
Go back to the Layers panel. Now we’re going to merge the text with the fur. 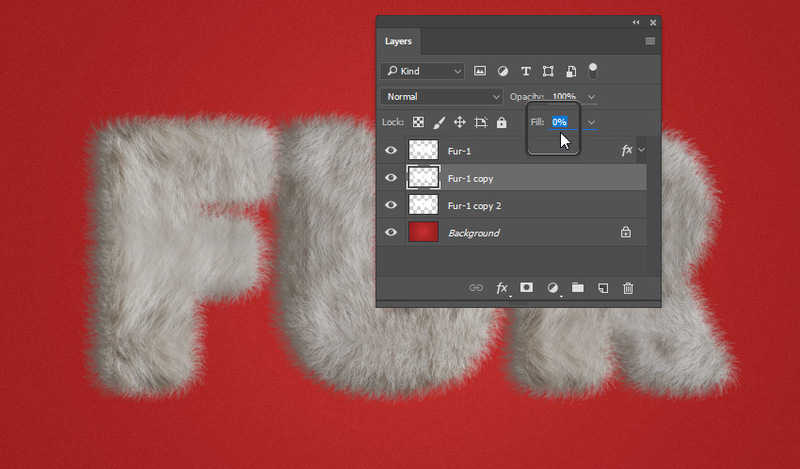 To do so, select Fur-1 in the Layers panel, and then hold down the Shift key and select Base Text 1. 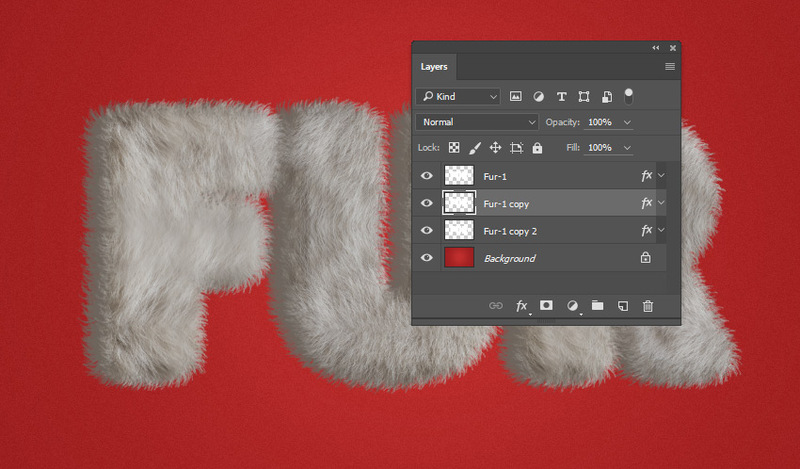 Now let’s change the color of the fur. 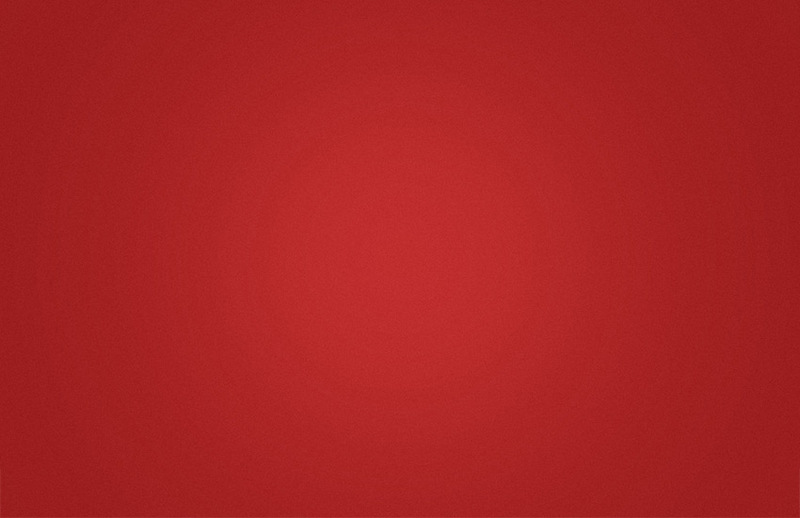 We will make it white. 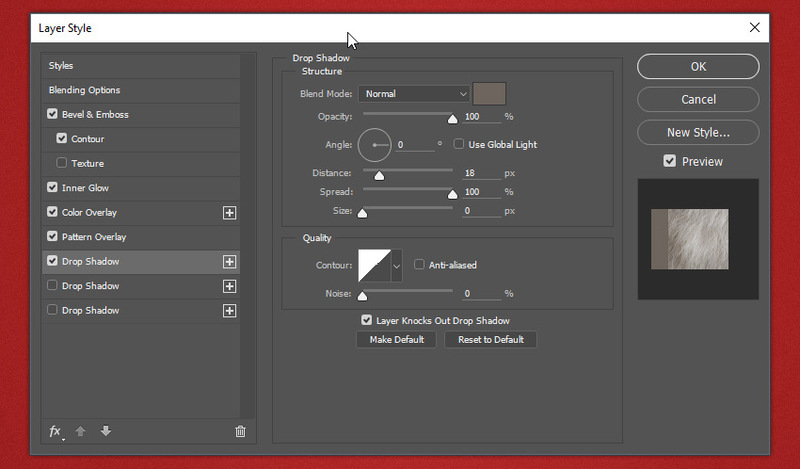 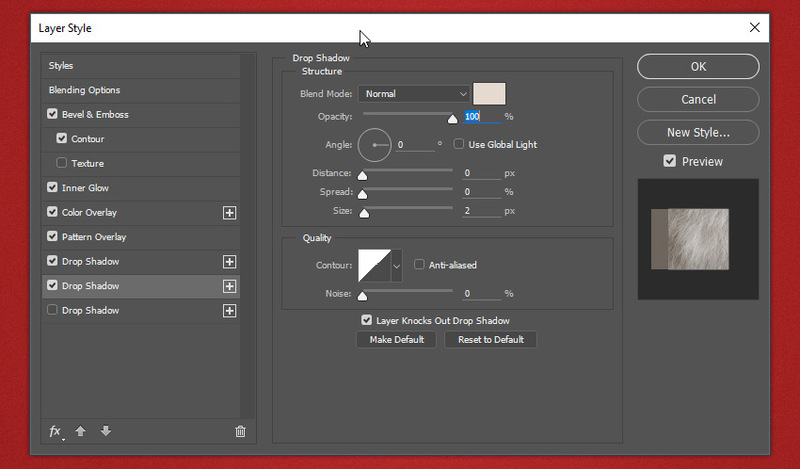 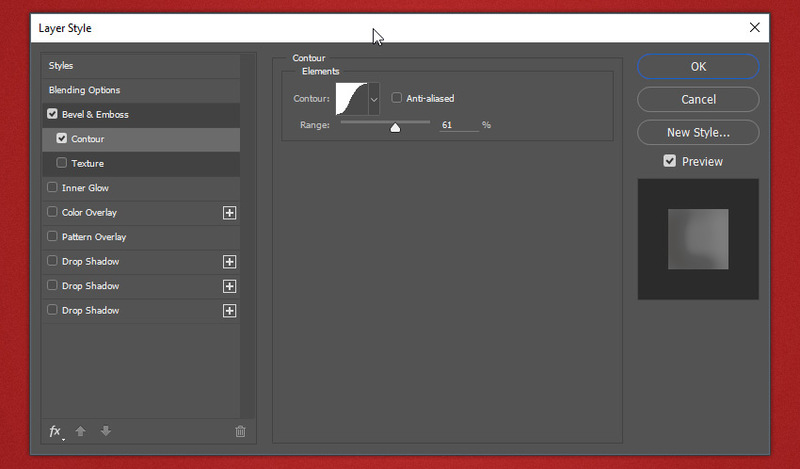 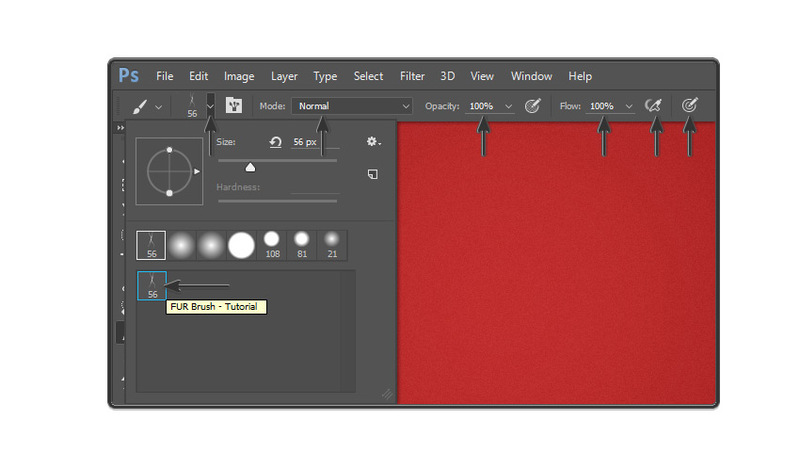 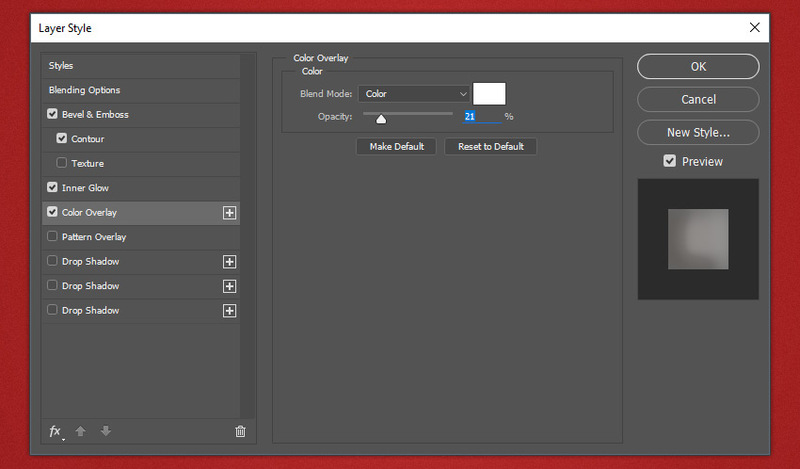 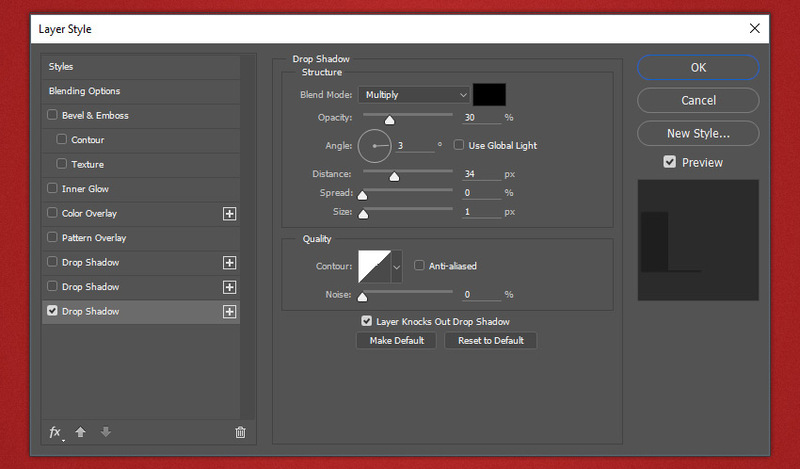 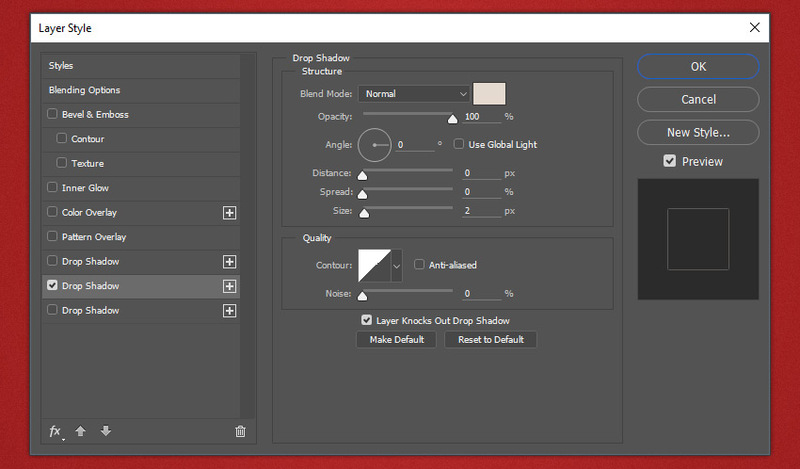 Go to the Adjustments panel and click on Gradient Map. 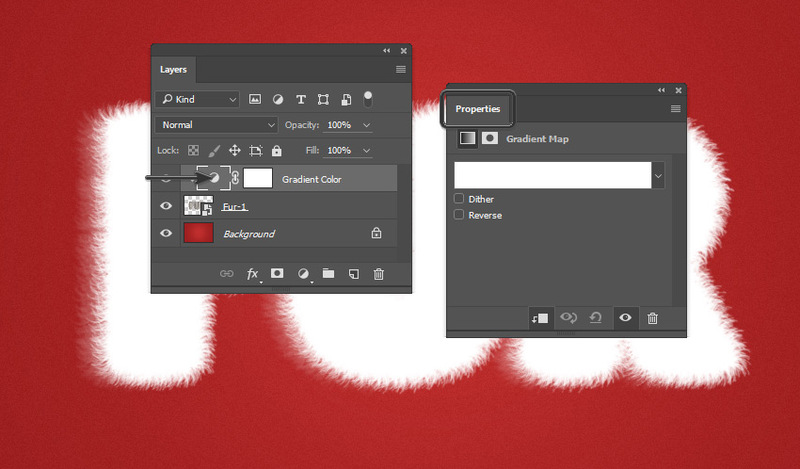 If you don’t see it, go to Window > Adjustments. 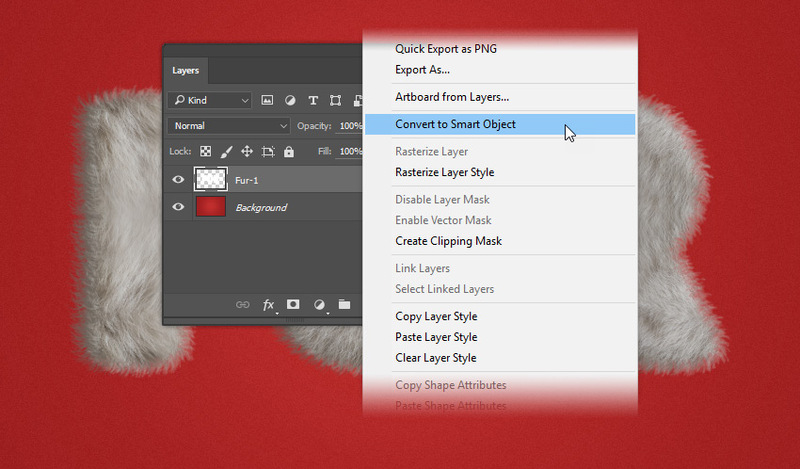 Your entire image will look strange, but don’t worry. 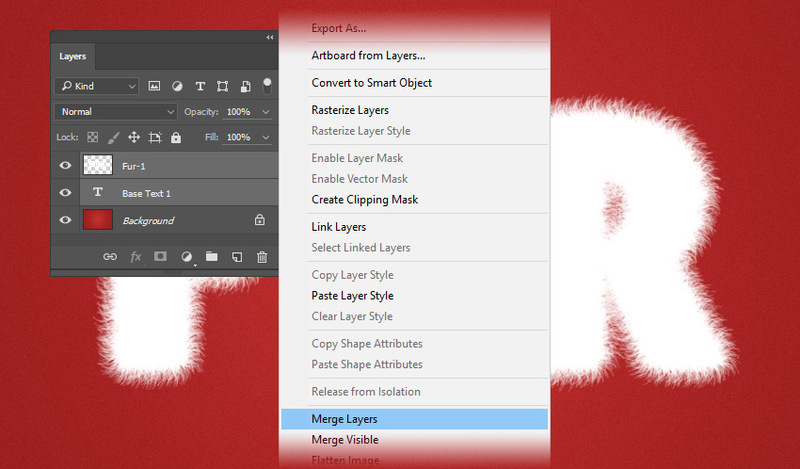 Rename the layer Gradient map 1 to Gradient Color.